Rumors about a Meizu MX5 Pro have been officially shot down by the company's VP, Li Nan. Instead, Meizu is working on a new handset that has been given the code-name Meizu NIUX. Yesterday, we told you plenty about the phone, including the Exynos 7420 chipset that reportedly will be driving the device. This, of course, is the SoC that you will find under the hood of such high-end models like the Samsung Galaxy S6 and Samsung Galaxy S6 edge. Some of the specs on the Meizu NIUX have been confirmed by Meizu's president and co-founder, Bai Yongxiang. The executive says that the NIUX will come with a 1080 x 1920 resolution screen (rumored to measure 5.5-inches) and calls a 2K resolution screen not logical for a smartphone. He also promises that the handset will be powered by the best CPU available. The device is expected to be unveiled next month. The rest of the specs certainly makes this phone a top-shelf model. The NIUX will feature 3GB or 4GB of RAM, and a 21MP camera is expected on the back with a 5MP snapper in front. Android 5.1 will be pre-installed, with Meizu's Flyme 5.0 UI running on top. The handset is expected to sport a metallic build. Smart move, 1080p is more than enough, besides Meizu's phones battery life is already not that good. Exynos 7420, 1080p, LDDR4 RAM PLEASE, eMMC 5.1 OOOOR UFS 2.0 storage would make the upcoming Meizu phone one of the if not the fastest phone ever. Oh and a big battery + good optimization would be EPIC AAAND good algorithims for the camera. Asking too much...But a man can dream. Going To Be Interesting To See How Much Of An Increase The 7420 Will Get In Benchmarks Since The MX5 Has A 1080p. Honestly I Don't Think It Will Be That Big A Difference From The GS6 And Its 2K Screen But There Are People On PA Who Thinks That The 7420 Would Be Way Better On A 1080p Screen And Even Be Able To Beat The iPhone 6 And Its 750p Screen In FPS Benchmarks. i'm Not So Sure About That Tho But I Cant Wait To Find Out. Also The Battery Life Should Be Insane. I Know Benchmarks Don't Mean s**t But I Still Like Them Especially GPU Benchmarks LOL. No retina scanning ? Fail. Iris, not retina. No phones have retinal scanners, besides iris scanning is quicker and doesn't require a laser. "calls a 2K resolution screen not logical for a smartphone" MX4 Pro, bruh. Well if the SD820 is out they will use that instead of the Exynos. Which is how all companies should run. Take note...cough...Sony. There had to be something better than the SD810 if it is not being released until November. Qualcomm will start sending samples in October for 820. And there are multiple phases of testing and planning required after that. You can be pretty sure that unless it's just a rushed, not thought out product, there won't be a 820 running phone in 2015. 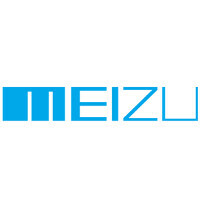 PA, use new logo of Meizu.